WordPress is a great CMS or blogging platform, but it can demand a lot of resources. Caching is a great way to boost the performance of your WordPress website. The Cache Enabler plugin is lightweight and easy to use. How does it work? The Cache Enabler plugin works with your browser to avoid reusing previously fetched resources. It enables you to deliver content much faster through HTTP caching. By avoiding heavy use of unnecessary resources (WordPress core, database, plugins) your webpages will load much faster. This can improve user experience and SEO by improving the overall performance of your website. Cache enabler takes little to no effort to use. Just install it and it should work. You can also use the plugin to implement more advanced caching settings. KeyCDN, the plugin’s devlopers, also has some code snippets on their website to help you bypass PHP calls and the Expiry directive. Cache Enabler can be paired with other WordPress plugins to improve performance as well. For instance, you can use Optimus Image optimizer to convert your images to WebP for faster loading time with little loss in quality. Another popular way to use this plugin includes the use of a content delivery network (CDN). Clear the cache every time a new comment is posted or you can clear it manually from the WordPress admin bar. Clear the cache every time a specific post or page is modified. Clear the cache by URL. This simple plugin can make a big difference on your website and it’s free to download and use. 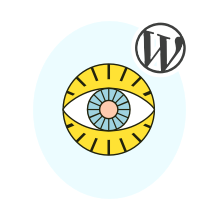 By tweaking your settings and combining Cache Enabler with other WordPress plugins, you can get some powerful results.